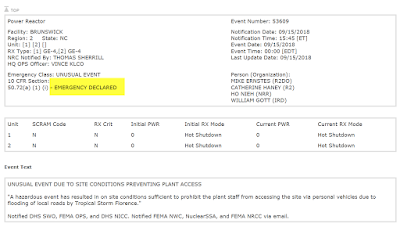 We saw in the Texas hurricane and nuclear plant debacle last year, that plants are very poorly prepared for any extended emergency. In fact a key engineer was forced to drive his personal vehicle through flood waters to get food to feed the plant workers. What part of "have 3 weeks supply of food AND water on hand" is lost to basic preparedness? 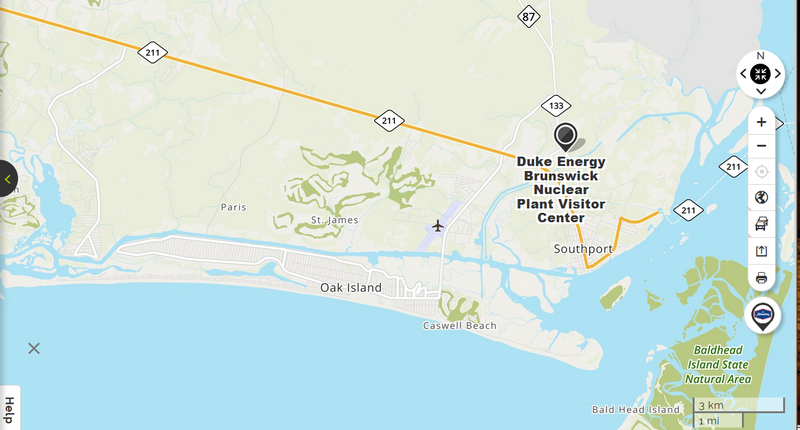 Here is an emergency plan that Brunswick nuclear plant provides for nearby residents. It seems to "over 73MPH" is a mandated shutdown. 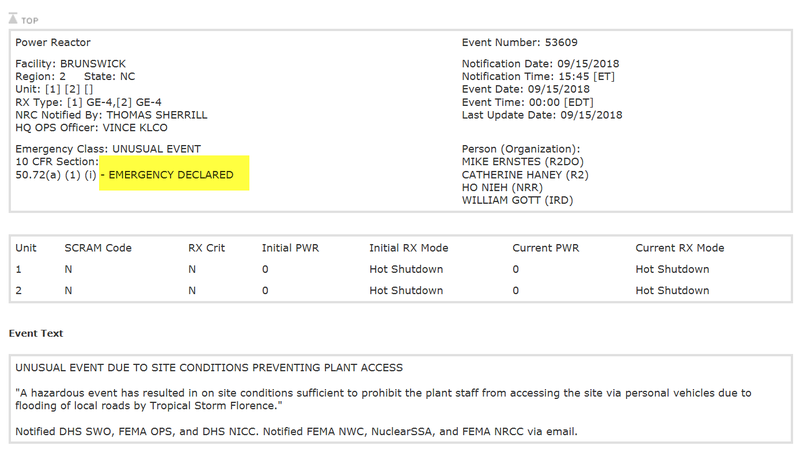 Federal requirements mandate once forecasts call for a storm to strike the plant with sustained winds of greater than 73 miles per hour, the plant must shutdown. 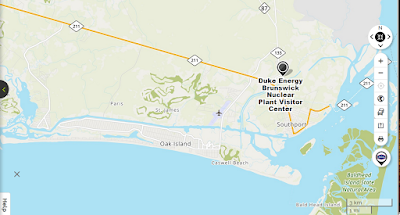 The reason for this has less to do with concern over structural damage to the facility and more to do with the potential loss of offsite power. The below is mostly propaganda, but could be good reference material for those with inquiring minds.